Discussion in 'General Hunting' started by Dreamhunter, Sep 9, 2018.
aaronc and barney like this. Belly crawling under a porch to gig a copperhead? Maybe this isnt as bad as what im imagining as far as mobility and visibility but i think this could have gone awefully wrong. Glad your spot and stalk was successful. Your my kind of people! aaronc and Munson like this. 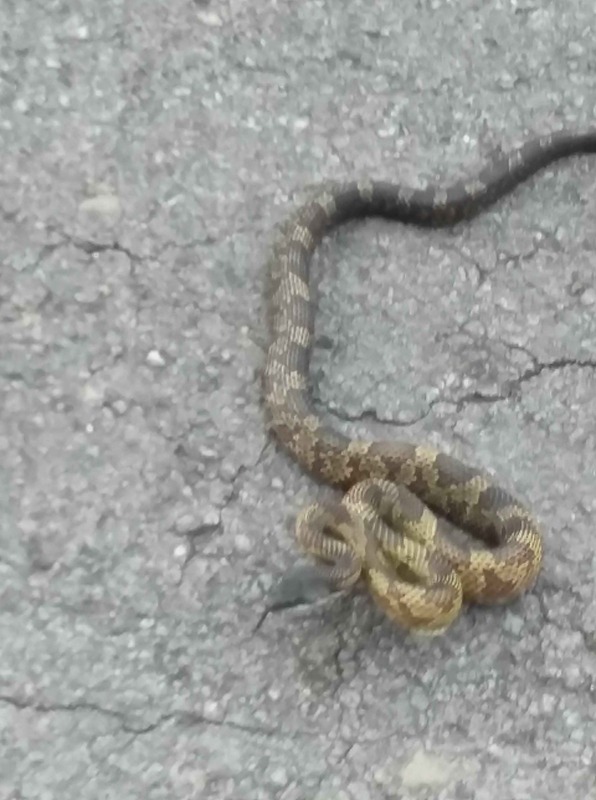 It was a timber rattler. I’ve never seen a live one. I’d like to. I wouldn’t kill it less had to. Only seen a hand full of copperheads. I have seen several rattlers and copperheads. They die. If it is a non poison Snake it lives. As a seventeen year old I worked a summer cutting right of way for a power company. I was on a crew of four and we killed 36 copperheads and 8 rattlers that summer. Got so I was more scared of the yellowjackets than the snakes. I guess my relationship with snakes is complicated. I think snakes are fun to watch on TV or if given the chance I will observe in the wild,..I think they're all cool to a certain degree,..especially our copperheads and timber's. They're camouflage skills are spooky good. Never seen a timber in the wild and only a few copperheads....but I dont stir much in hot weather. All that being said I'm just really not a reptile guy nor do I hold their life in high regard,..snakes,.turtles,..whatever. They're more cool to me on their side of the fence. 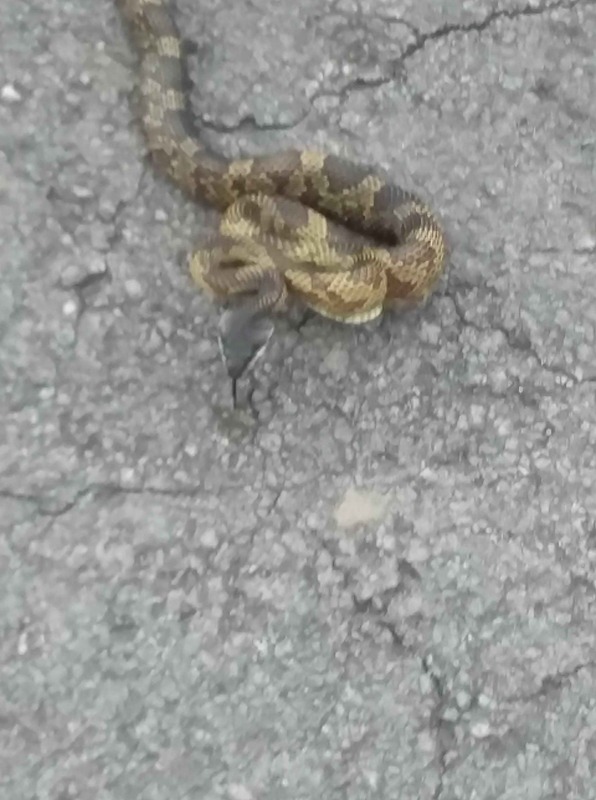 ,.....last snake I saw within any proximity was this little guy early this spring metal detecting around an old house...I let him live that day. I never thought I would ask , but does anyone know what kind of a snake this is? My son found it today . Looks like pits in front of the eyes . I don't know about now but back in the early 60's Pine Mtn above Whitesburg in Letcher Co the woods was full of rattlers. About 3 years ago while hiking on a trail to a waterfall on the other side of the mountain I saw a sign that read Danger Rattlesnake Country so I guess they're still in there, not to mention Black Bears! That's the biggest snake species in KY. A rat snake.